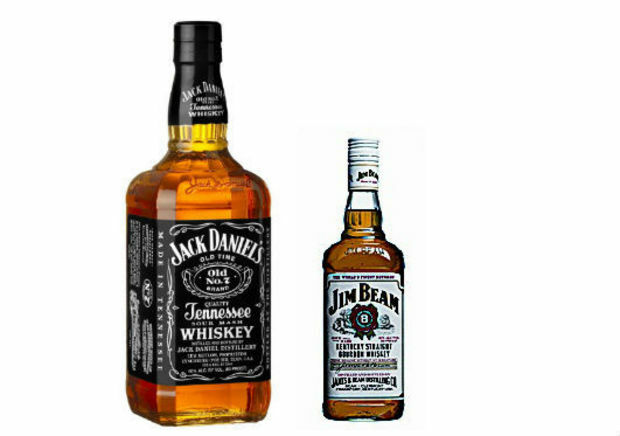 So, a man named Jack Daniels names son Jim Beam. Of course. Jack Daniels Leathers and his wife Lydia Leathers of Gray pose with their newborn son, Jim Beam Leathers.